Pricing Table – This shortcode was used to display Your Pricing Table into various style. 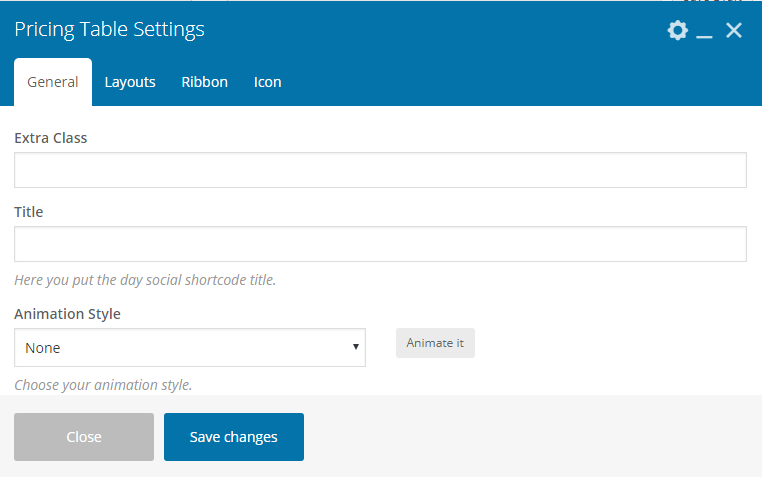 Title – Here you put the day social shortcode title. Pricing Table Layout – Here you can set the layout of Pricing Table. Pricing Table Item – This is settings for pricing table custom layout. here you can set your own layout. Drag and drop needed pricing items to Enabled part. Title Color – You can choose a color for the title. Price Before Text – This is before text field for the price. Price – This is a field for the price. Price After Text – This is after text field for the price. Price Feature List – Here you can add Price details. Price Image – Choose Pricing image. Text Align – This is the setting for text alignment. Choose from Icon library– Select icon library. Icon Style – This is option for feature box icon style. 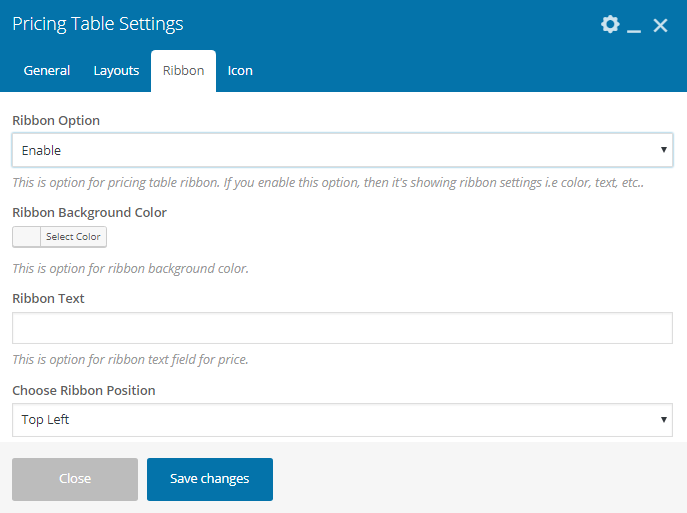 Ribbon Option – This is an option for pricing table ribbon. If you enable this option, then it’s showing ribbon settings i.e color, text, etc..